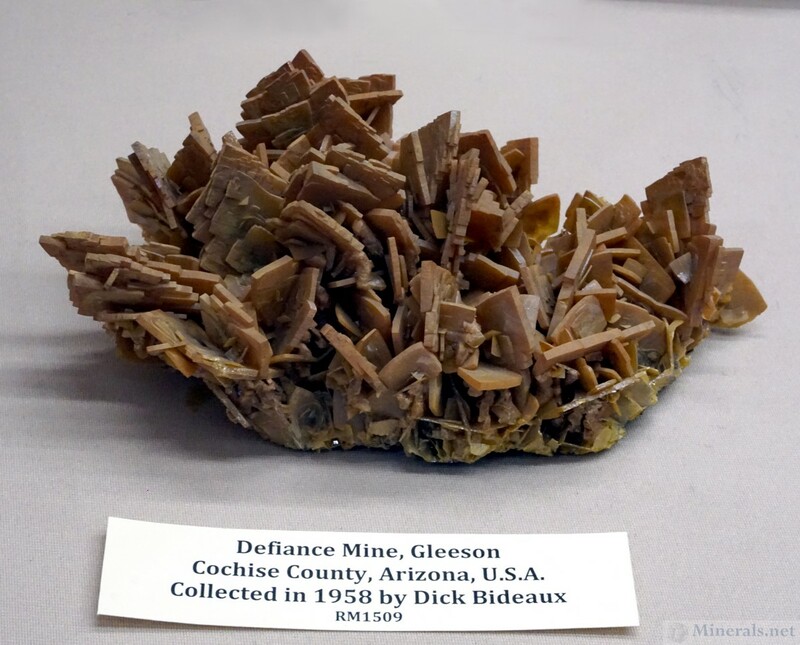 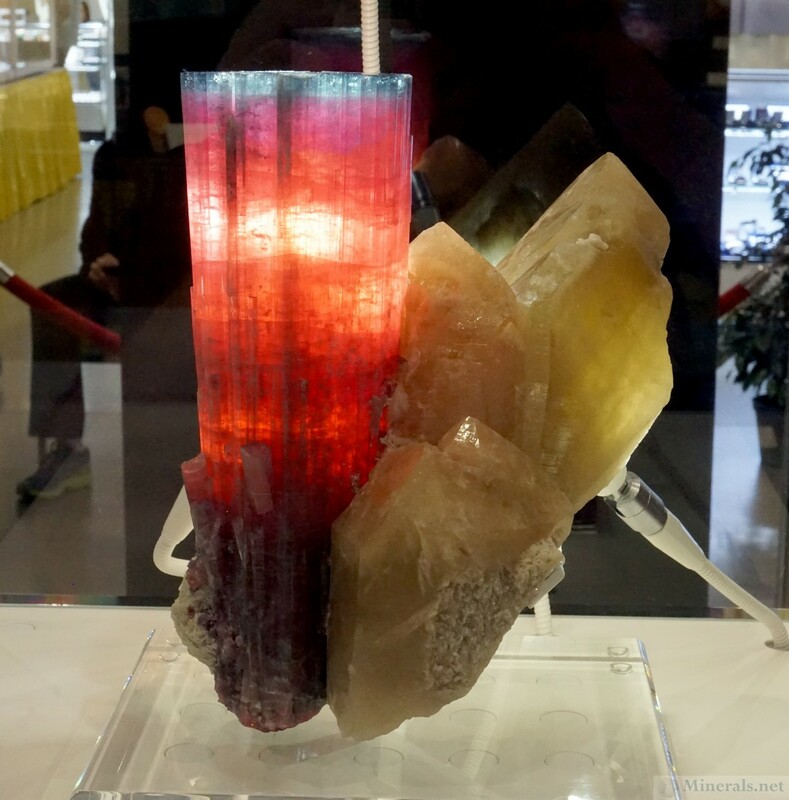 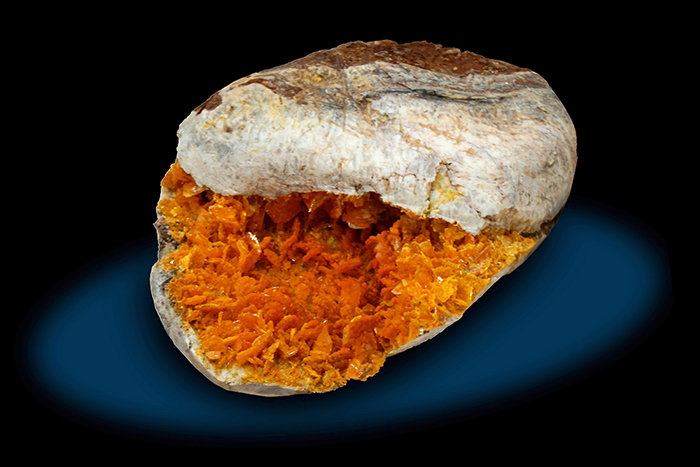 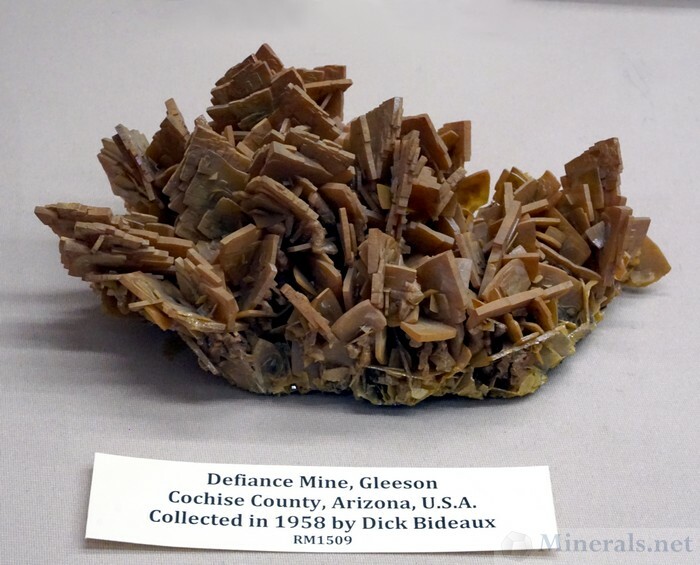 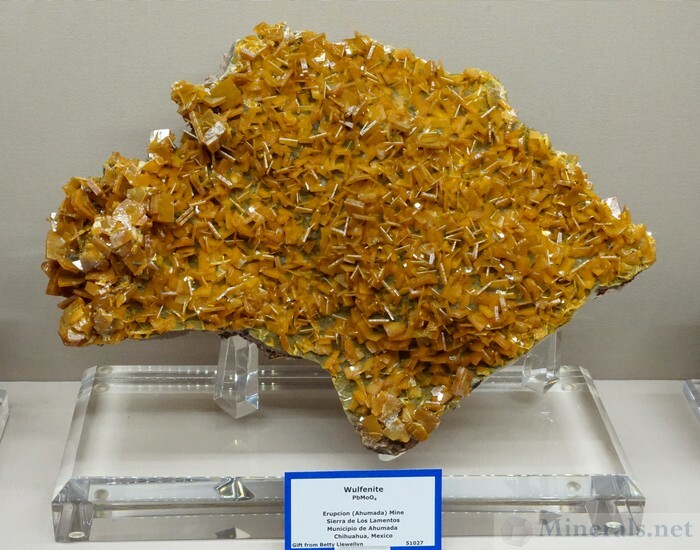 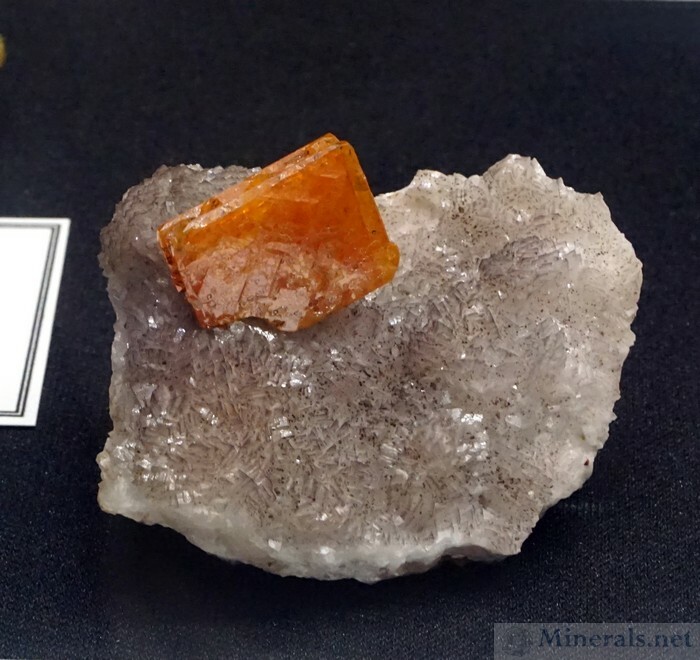 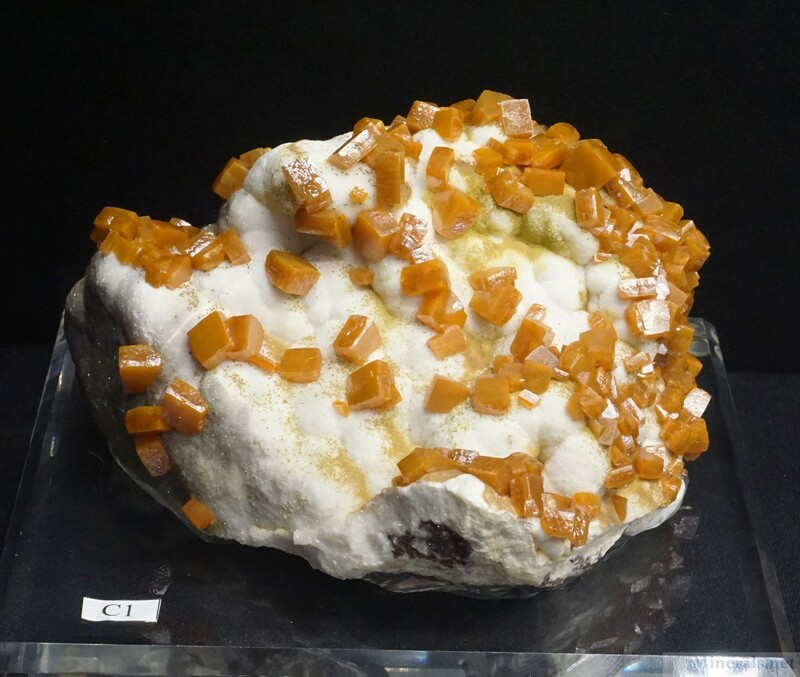 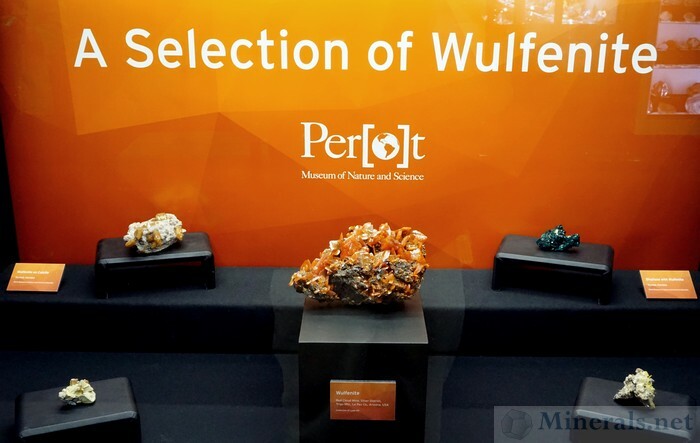 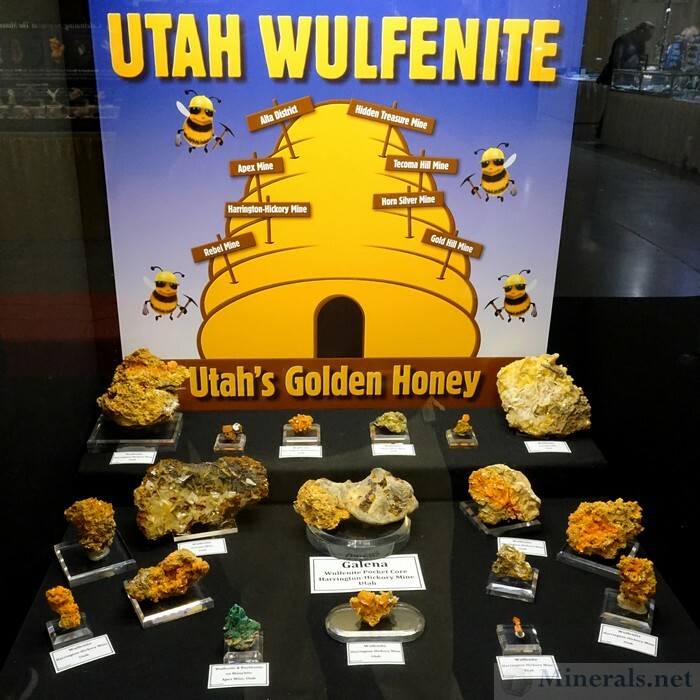 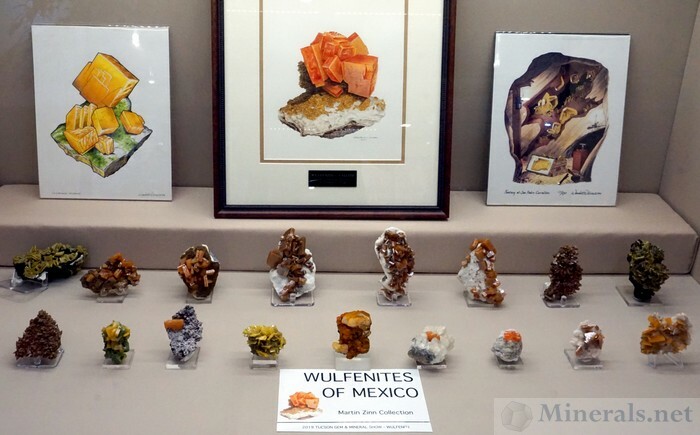 Continuing our show reports of the 2019 The Tucson Gem and Mineral Show®, this post features some of the individual Wulfenite minerals within the exceptional displays of the "Wulfenite is Loved" theme. Some of the best of species were on display in various public showcases, and we tried capturing a good variety of colors, habits, and localities. Private collectors and museums did a great job putting together these displays and preparing some of the best Wulfenites for the exhibit. We tried to capture some of the memorable and photogenic ones that caught our attention. 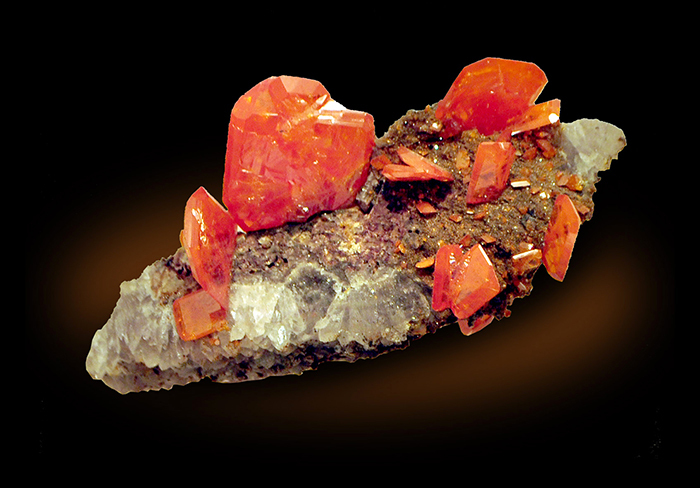 These include the fabulous "Red Cloud" Wulfenites, with their intense red color, and Wulfenite from the type locality in Bleiberg, Austria. 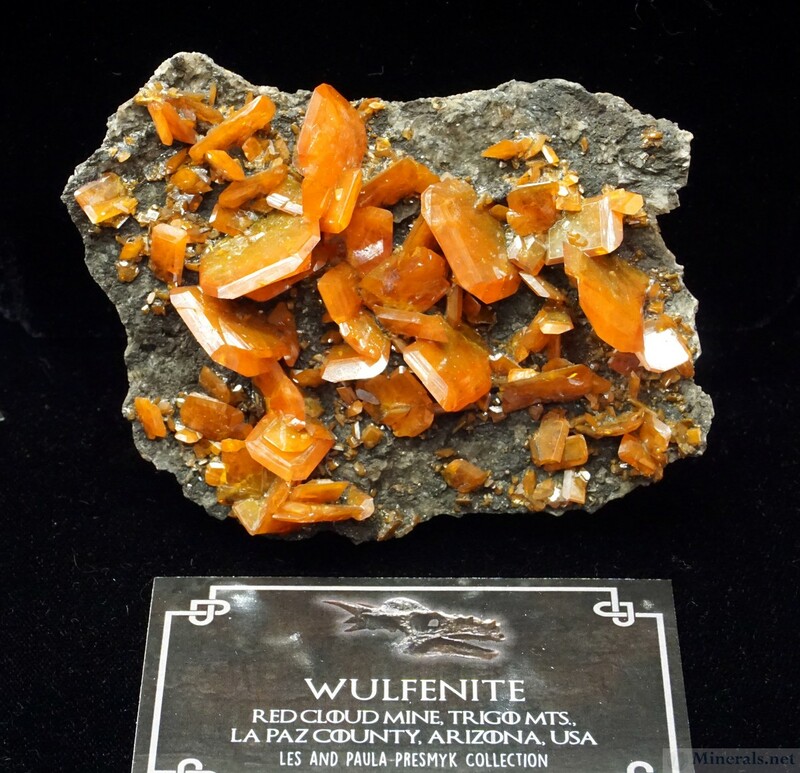 Wulfenite specimes from many of the famous Arizona Wulfenite localities are also well-represented in this post, including those from the Old Yuma Mine, Defiance Mine, Hilltop Mine, Glove Mine, Rowley Mine, Silver Bell Mine, and the Finch Mine. Important Mexican localities represented include the San Francisco Mine, with its "window pane" glassy crystals, the Erupcion-Ahumada Mine, with its butterscotch-like crystals, and the Ojuela Mine, with its many unique habits. 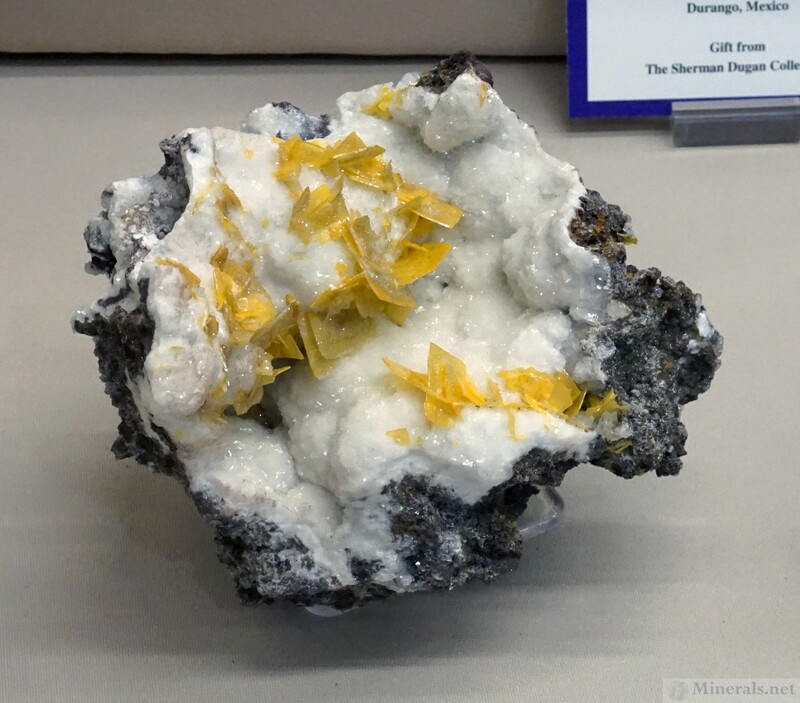 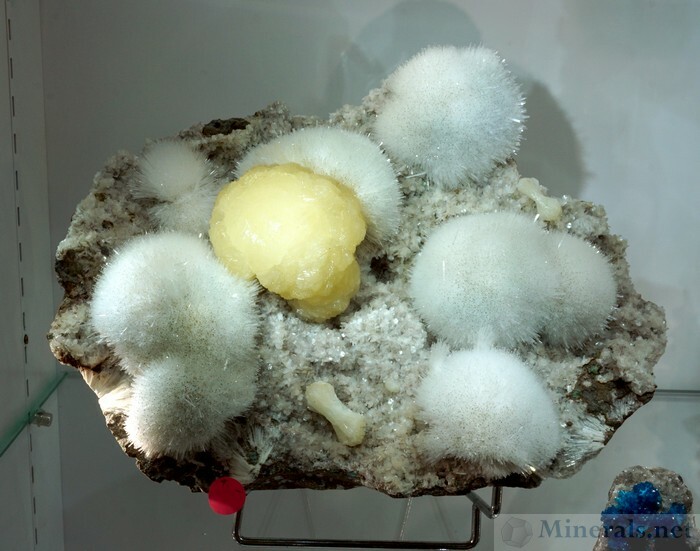 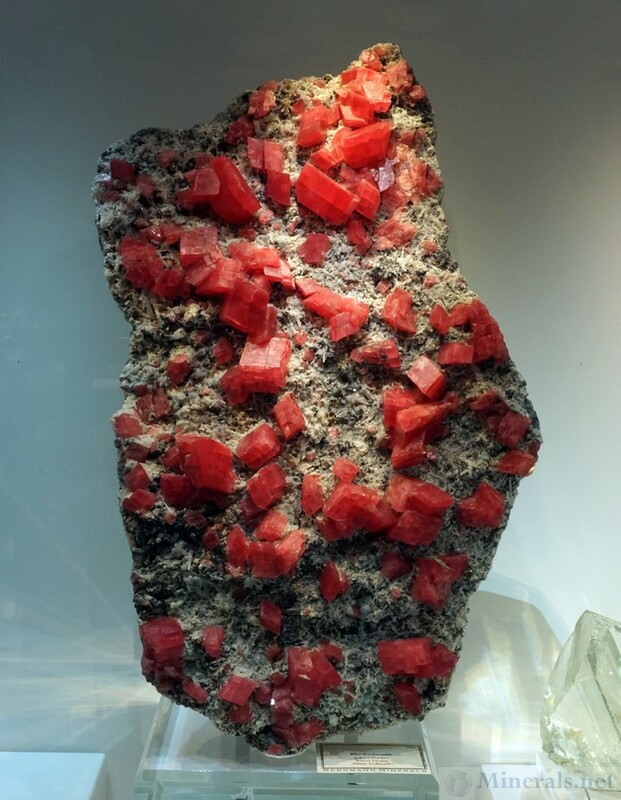 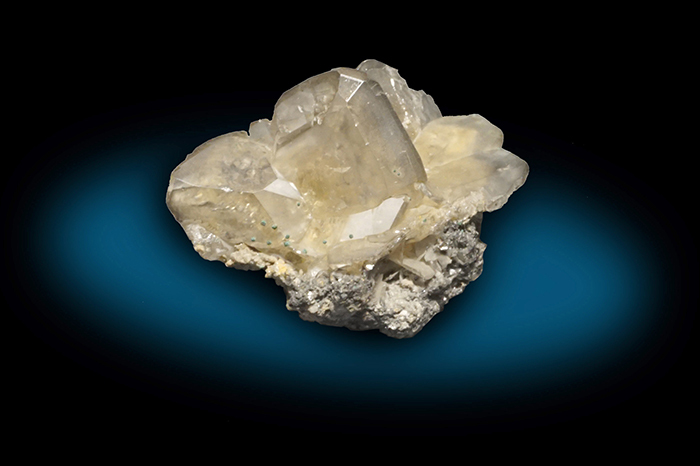 There were also examples from New Mexico (Stephenson-Bennett Mine), Utah, and some other interesting worldwide occurrences such as Touissit (bright yellow crystals), M'fouati (pyramidal crystals), and Urumqi (new Chinese occurrence of bright red crystals.) 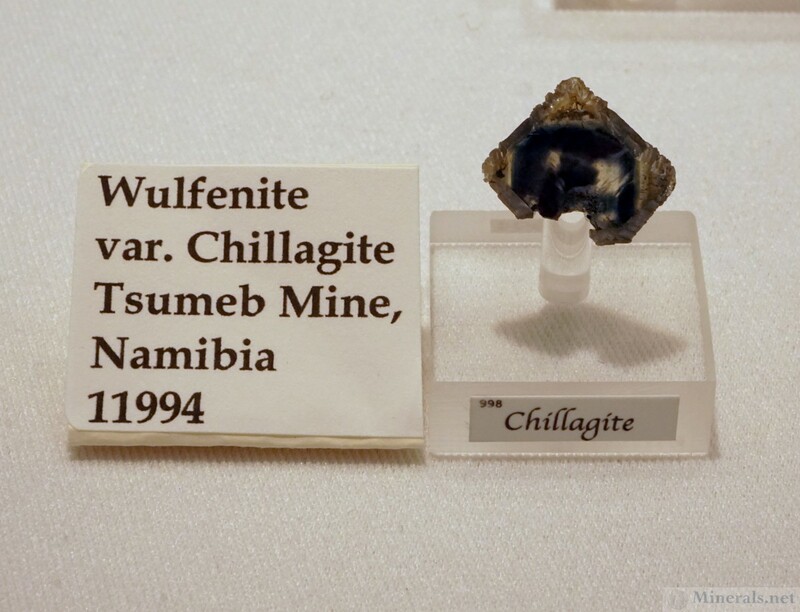 Of course the classic locality of Tsumeb was represented, and was especially memorable with the in the highly unusual blue "Chillagite" crystal. 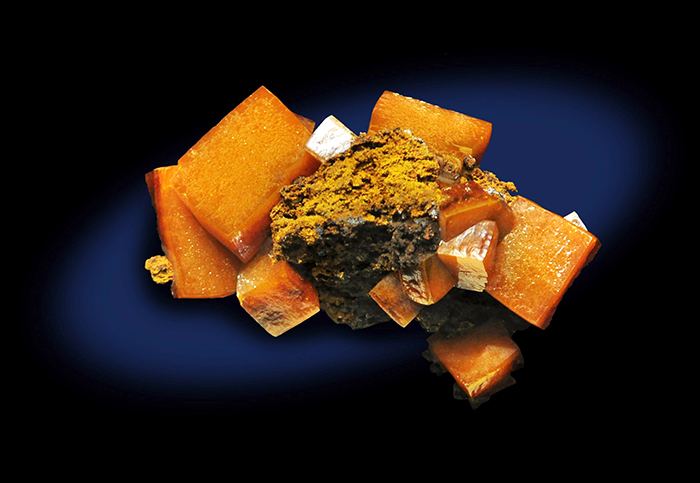 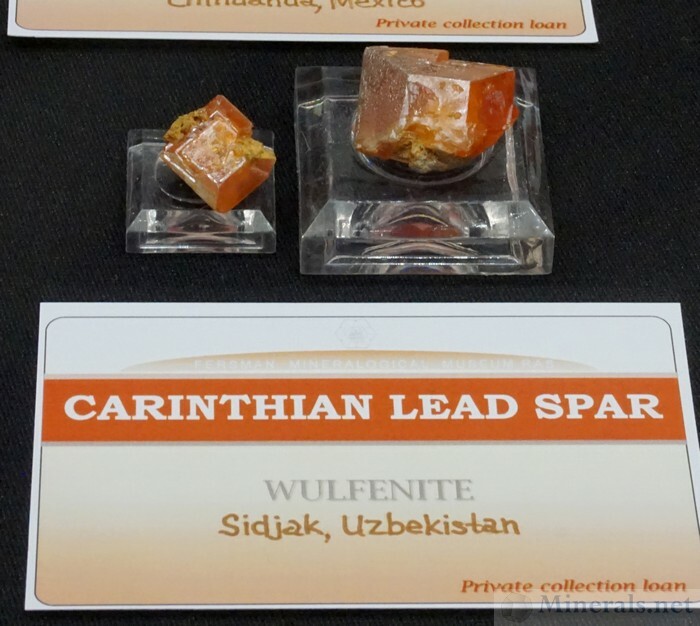 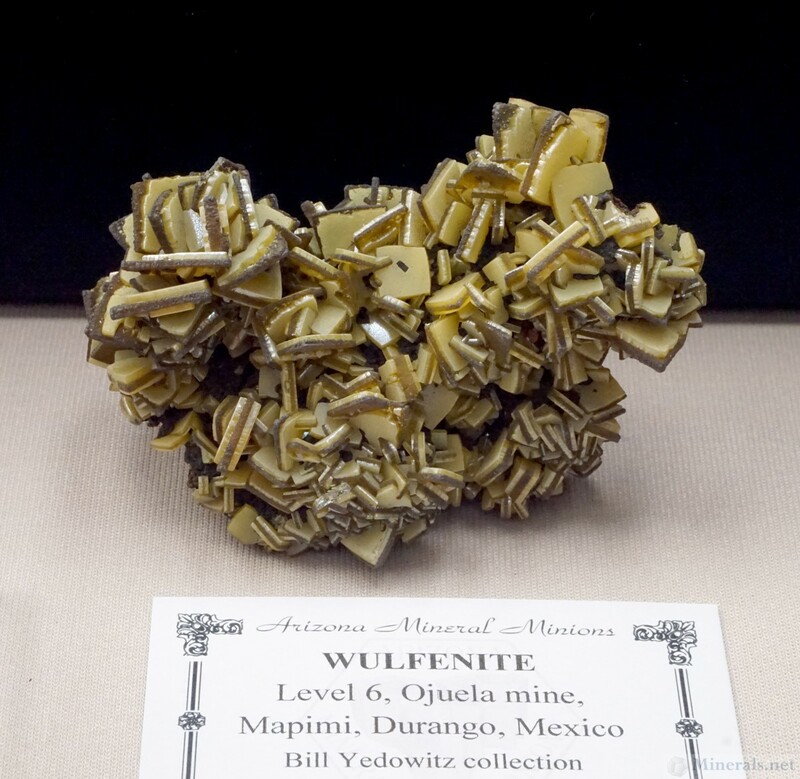 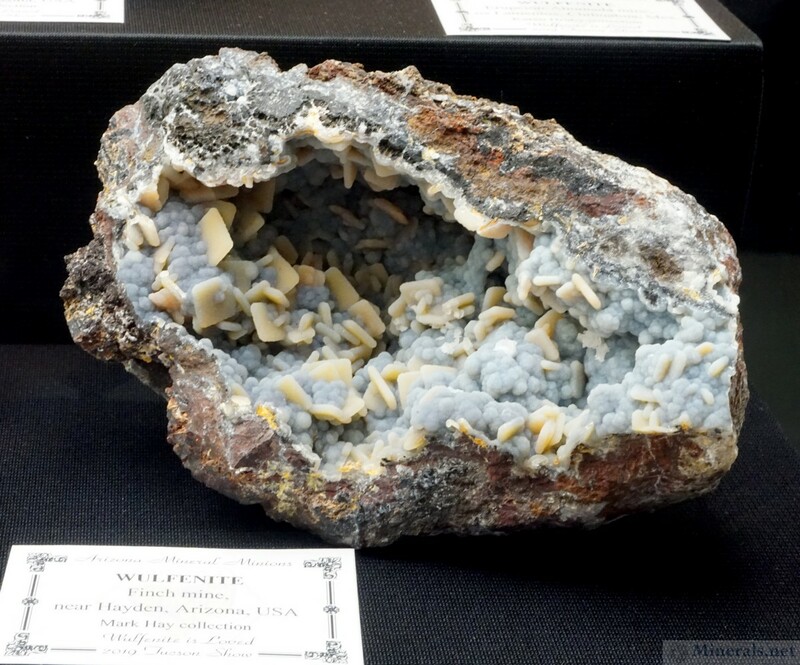 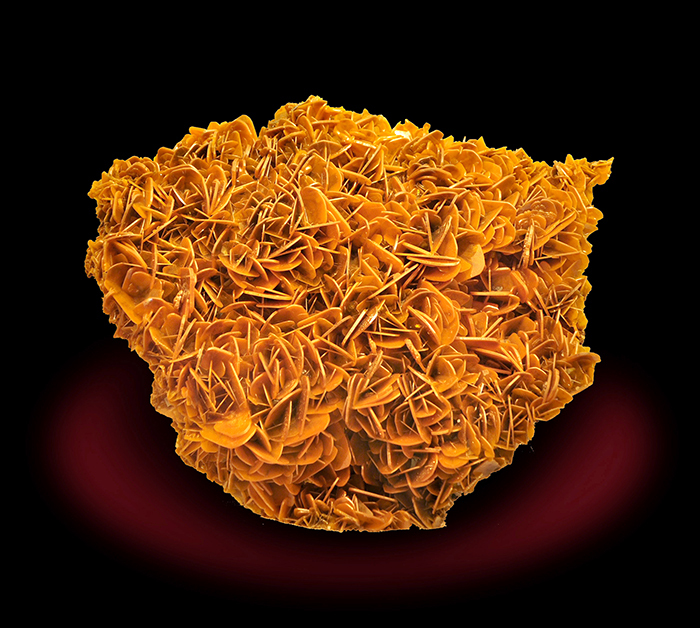 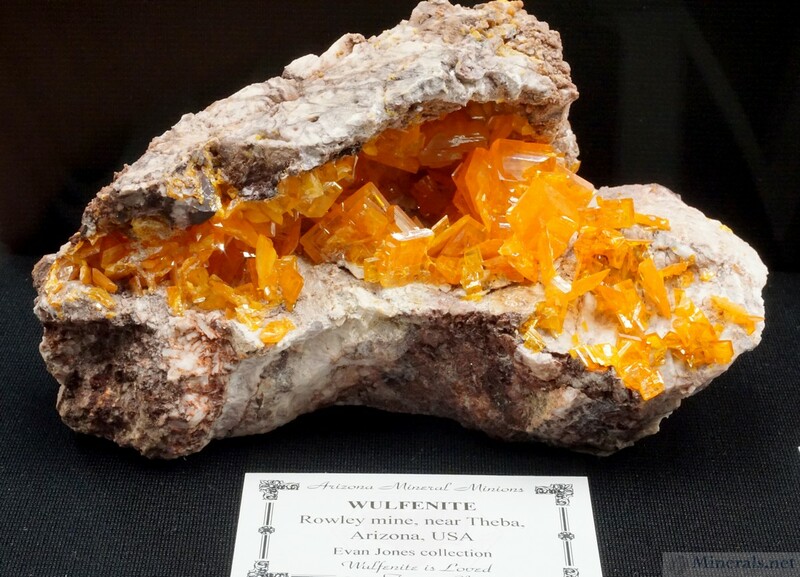 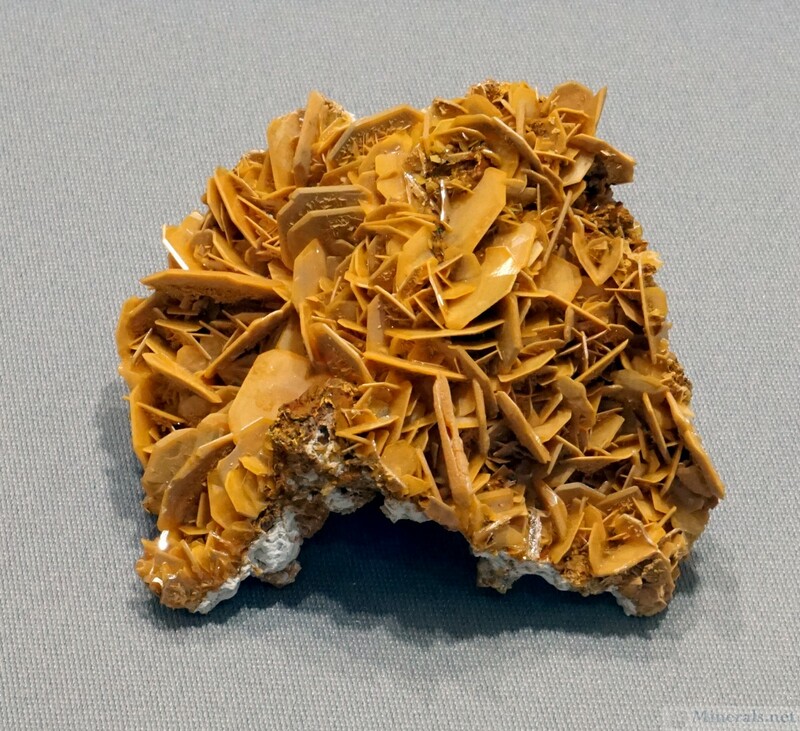 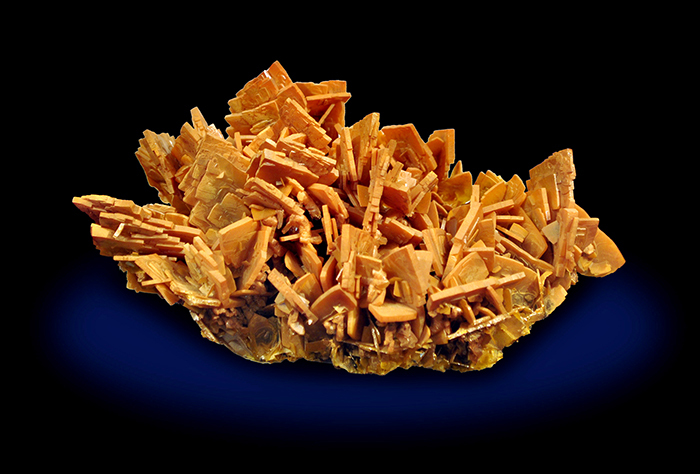 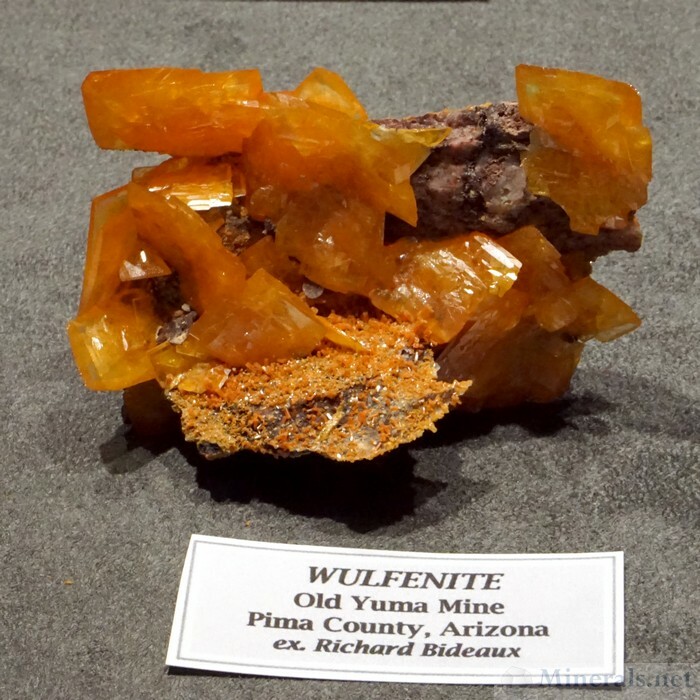 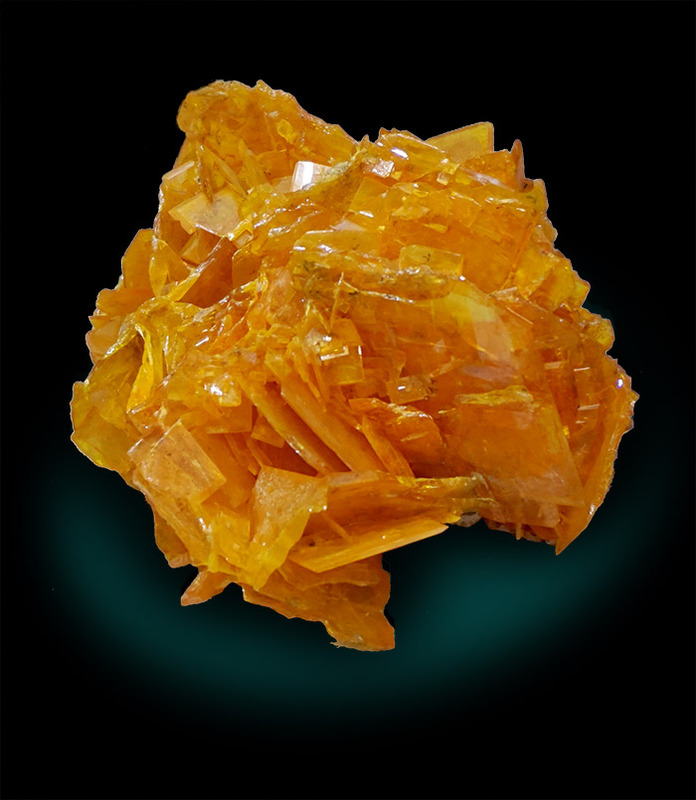 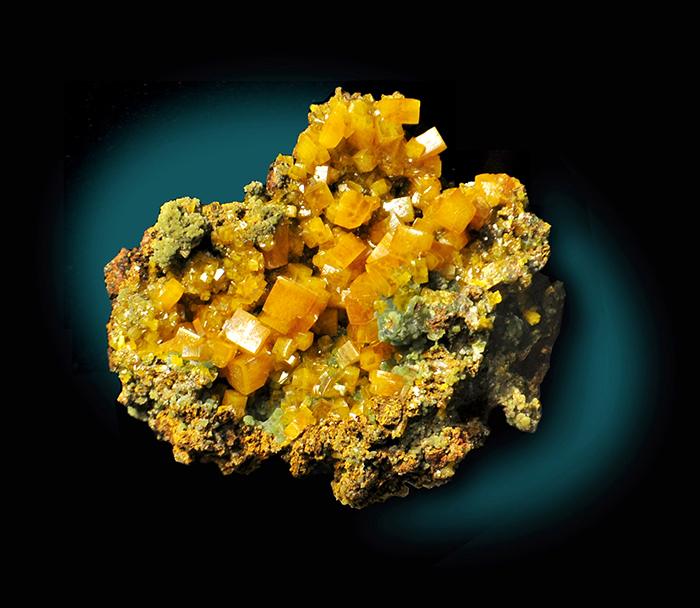 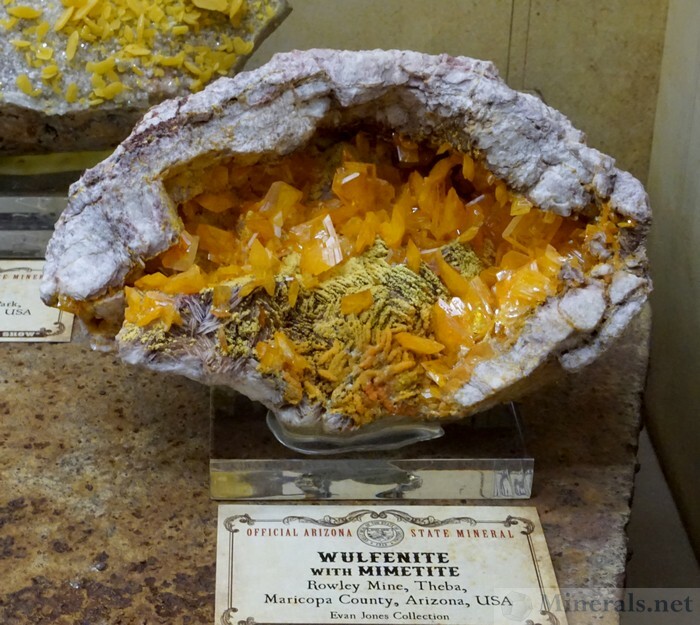 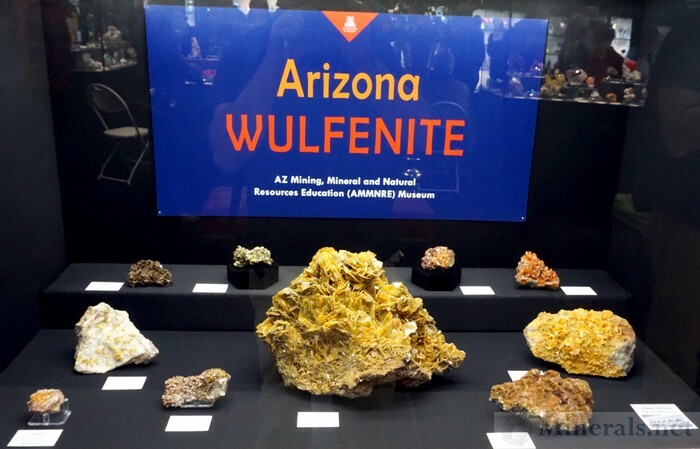 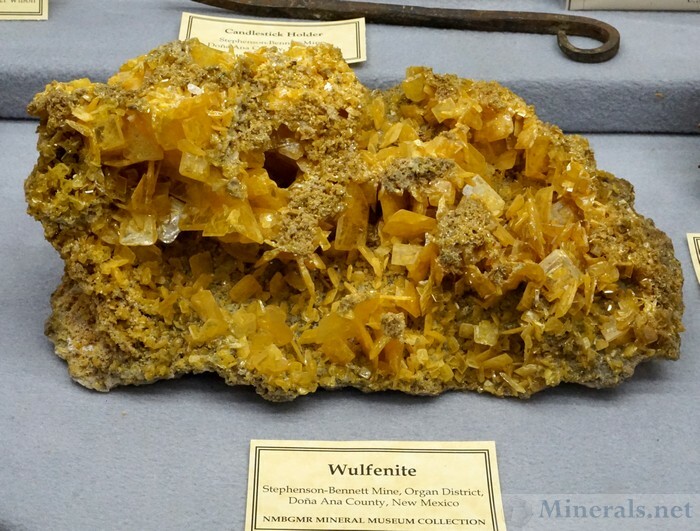 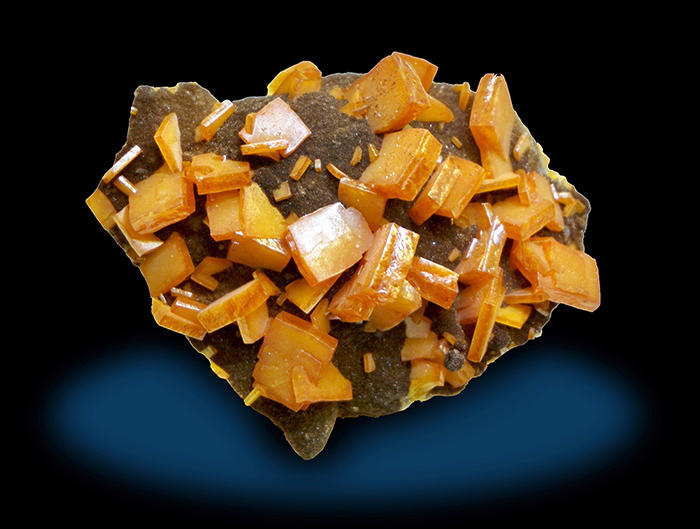 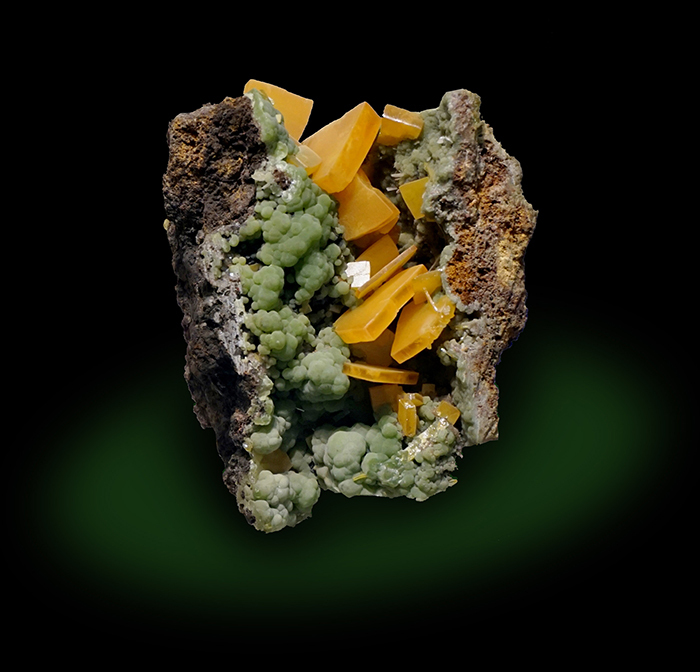 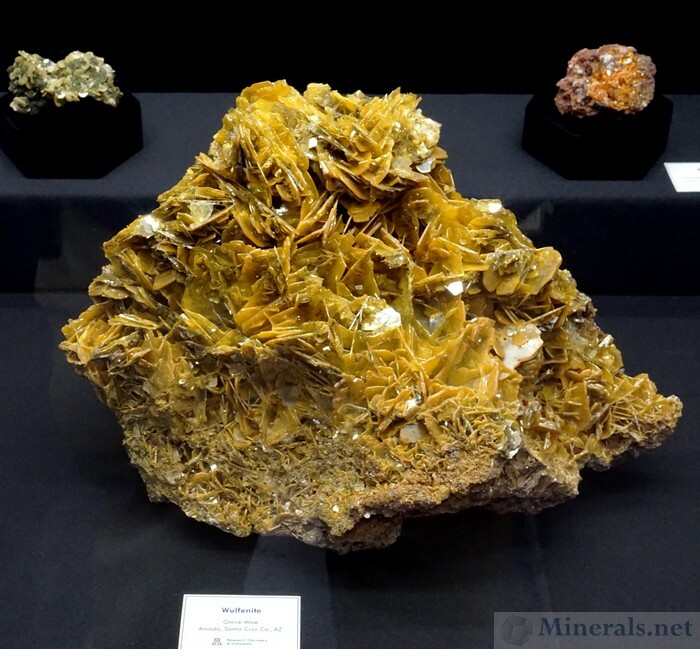 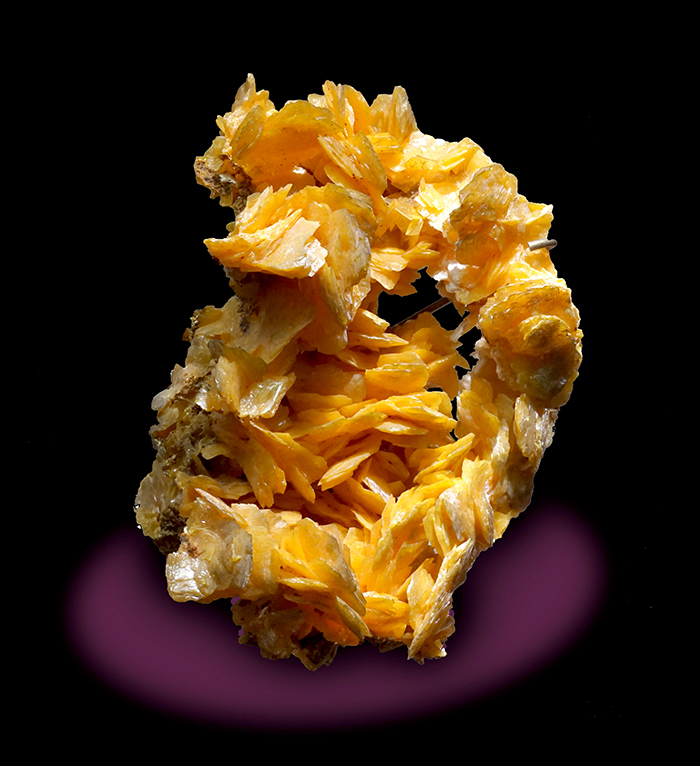 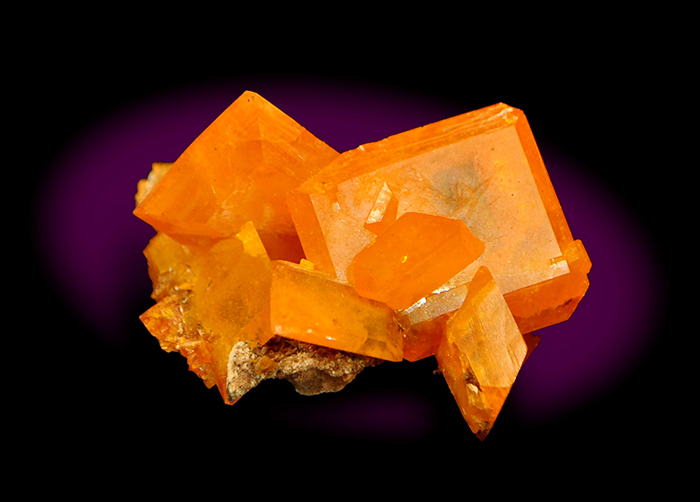 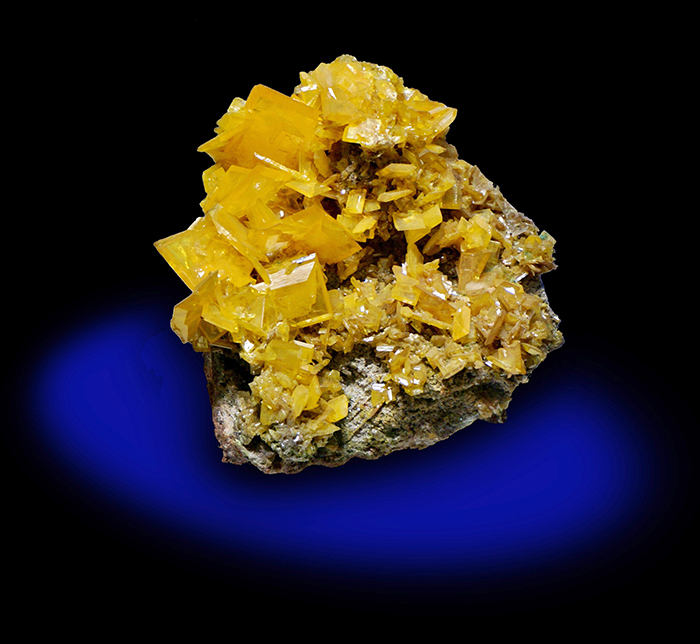 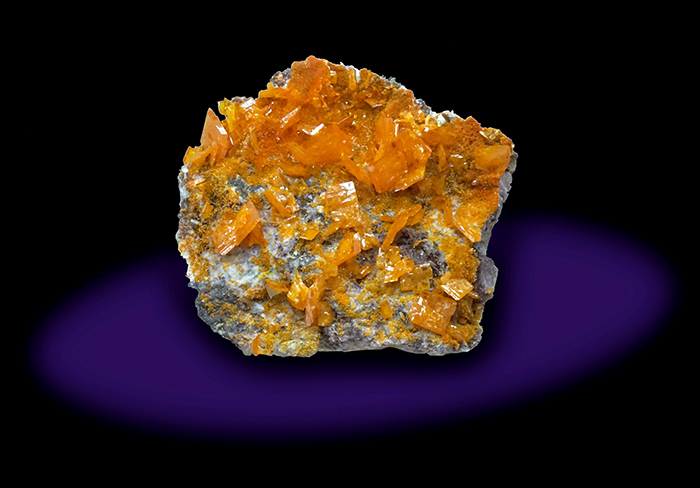 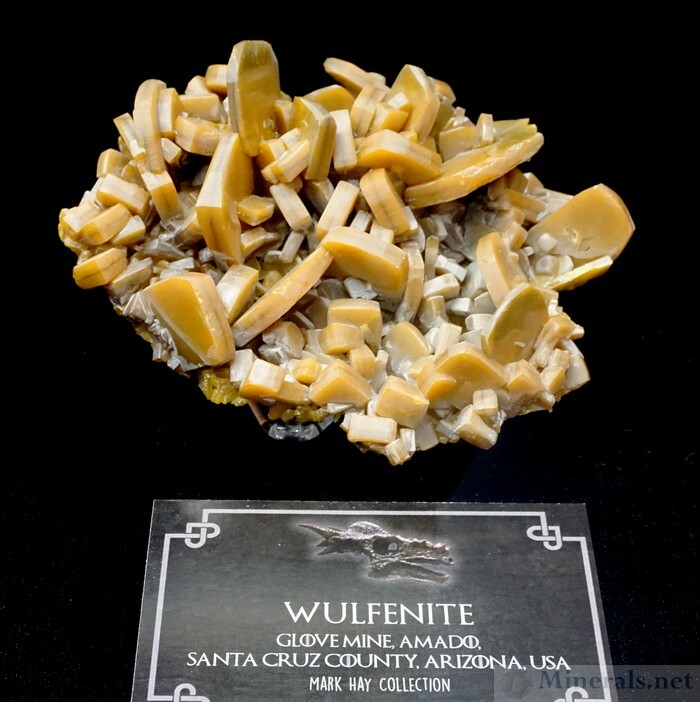 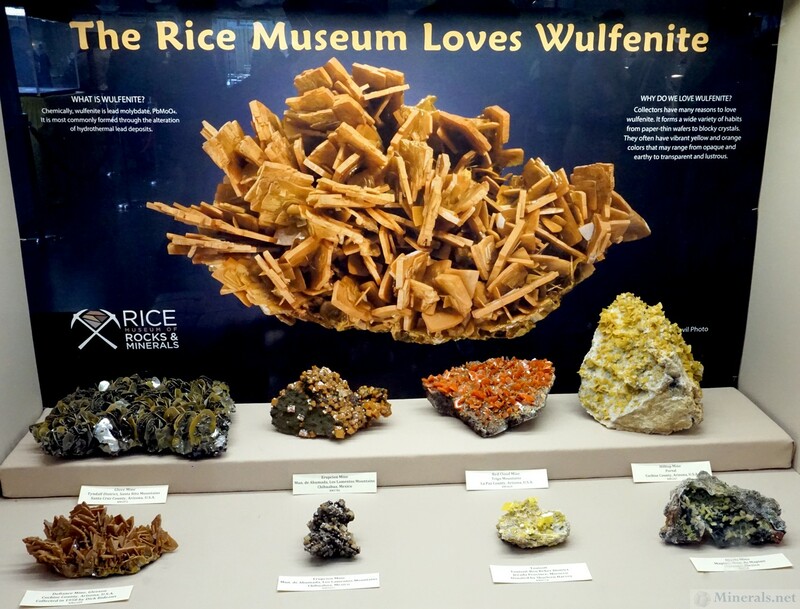 The theme of this year's Tucson Gem and Mineral Show® was "Wulfenite is Loved." Wulfenite was recently selected as the state mineral of Arizona, and was therefore a very appropriate mineral for this year's show theme. 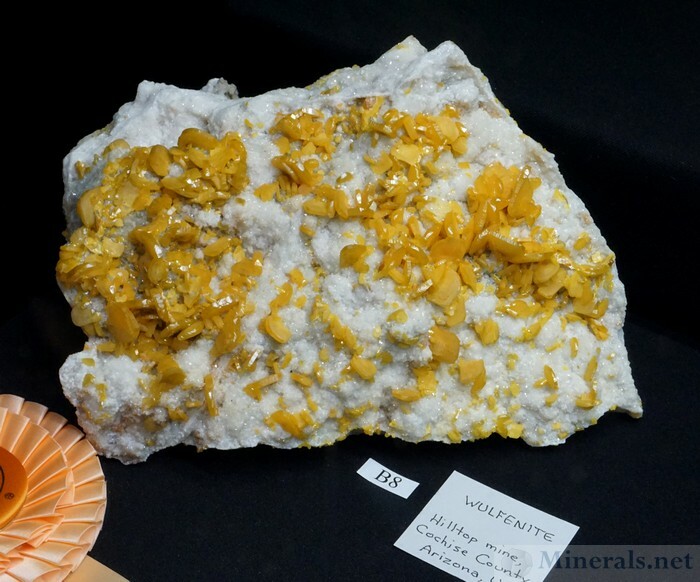 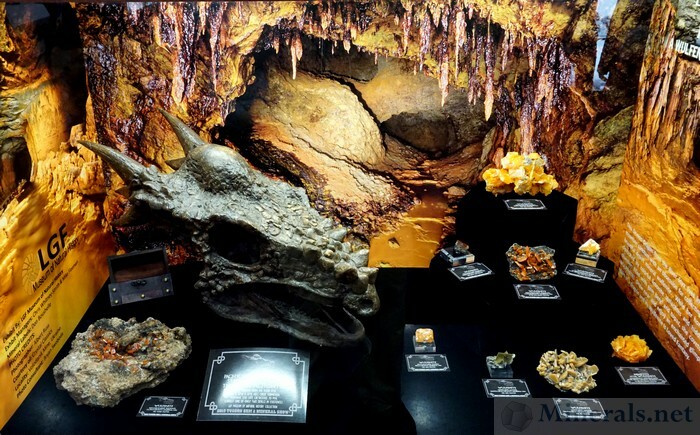 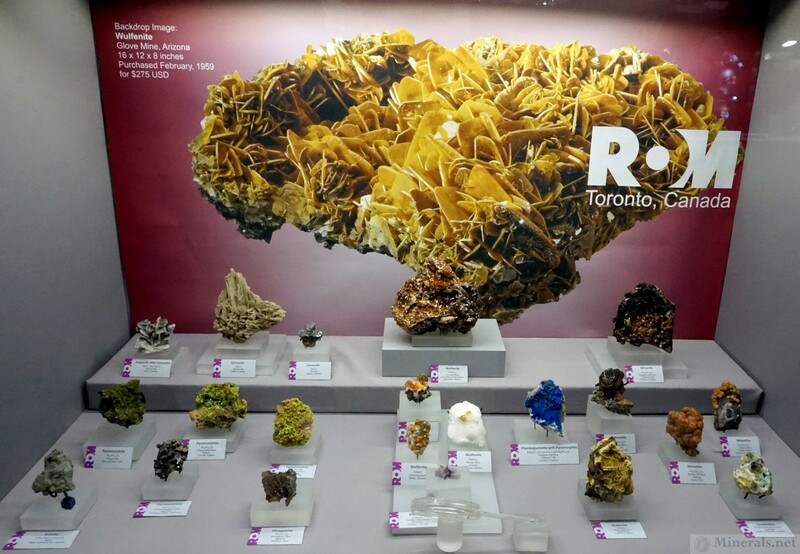 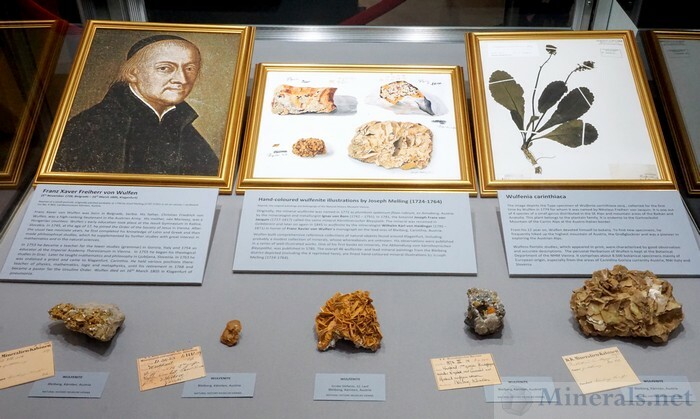 Being highly aesthetic, and represented in many of the finest mineral collections, it made for a very appropriate theme mineral, with exceptional displays of outstanding Wulfenite featured throughout the show. 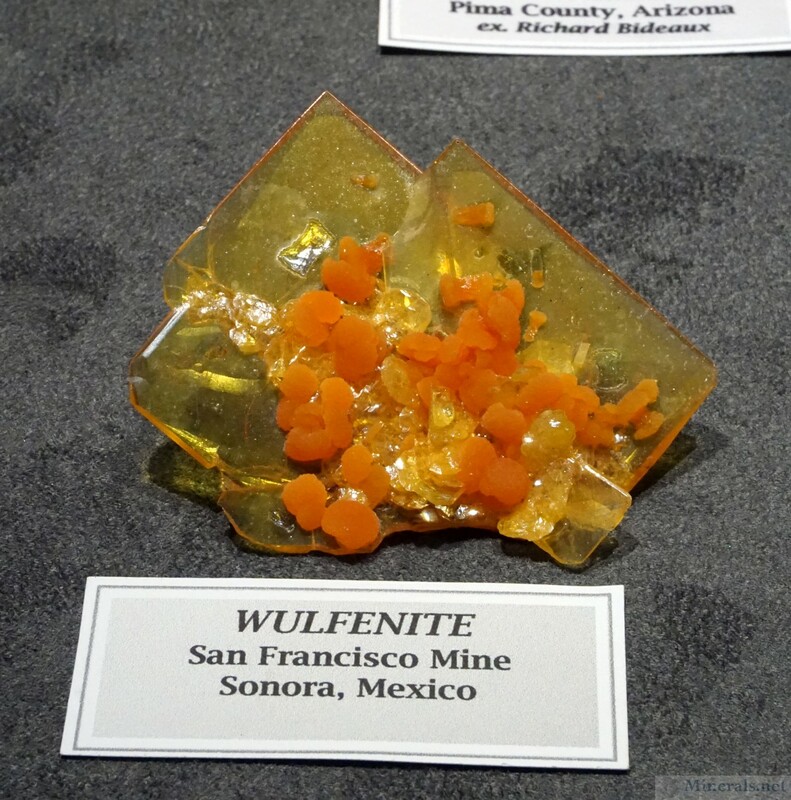 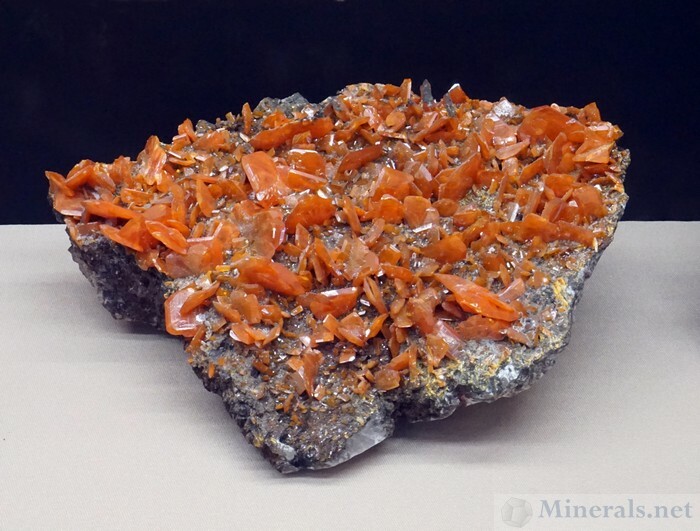 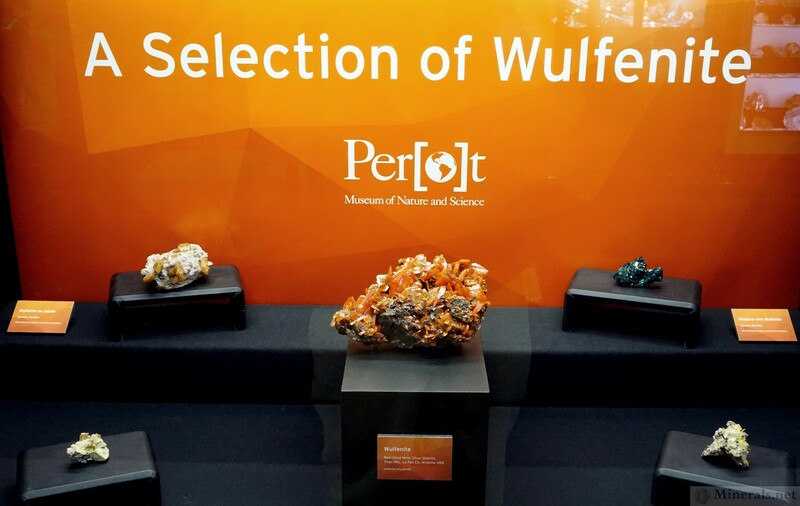 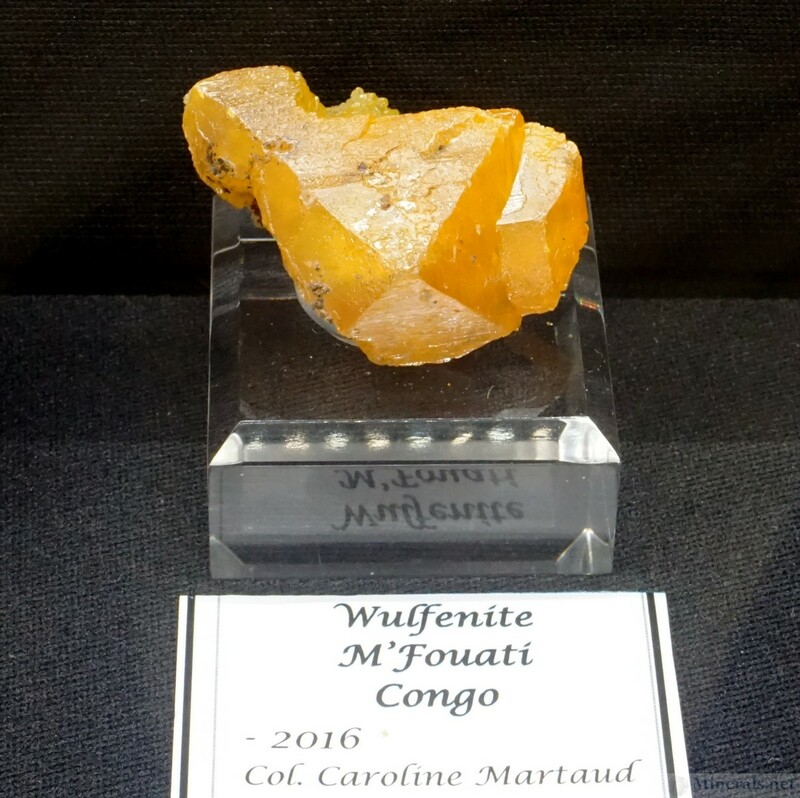 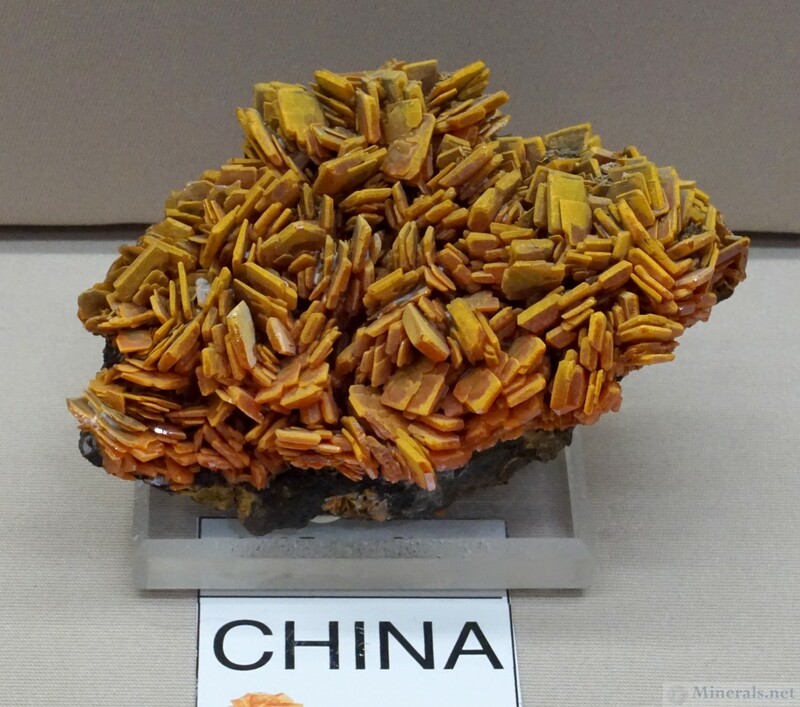 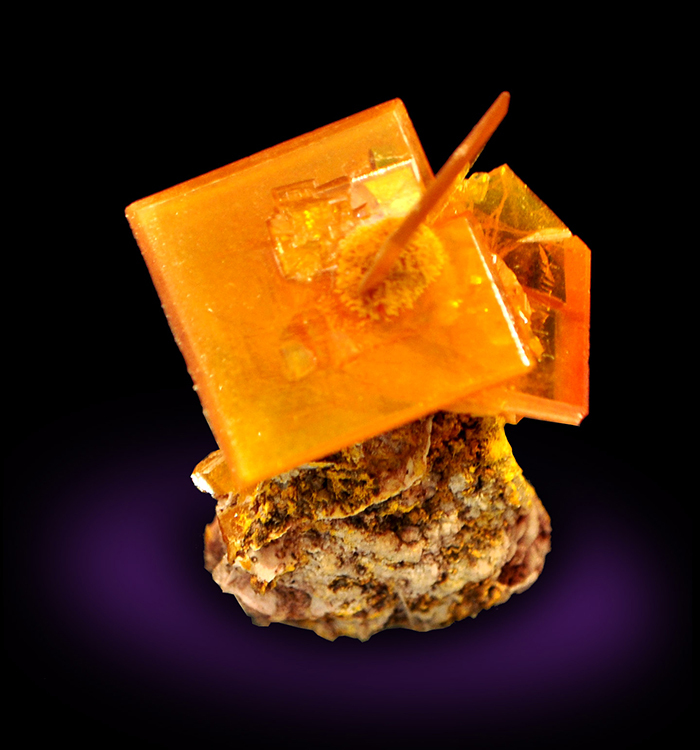 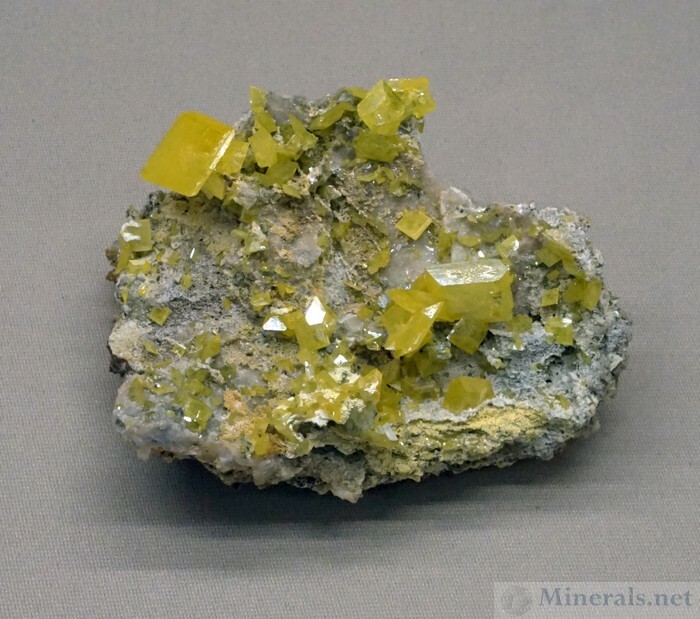 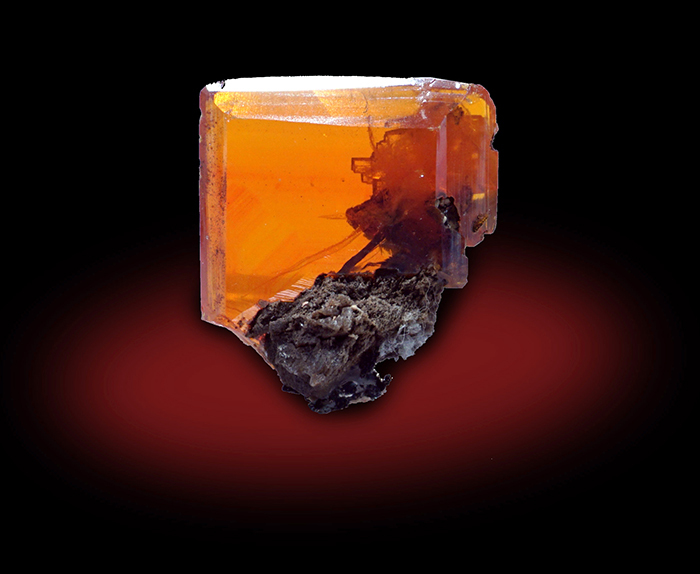 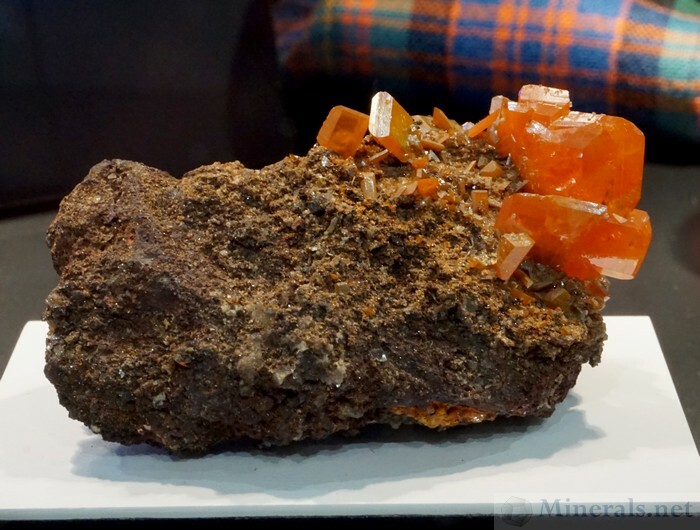 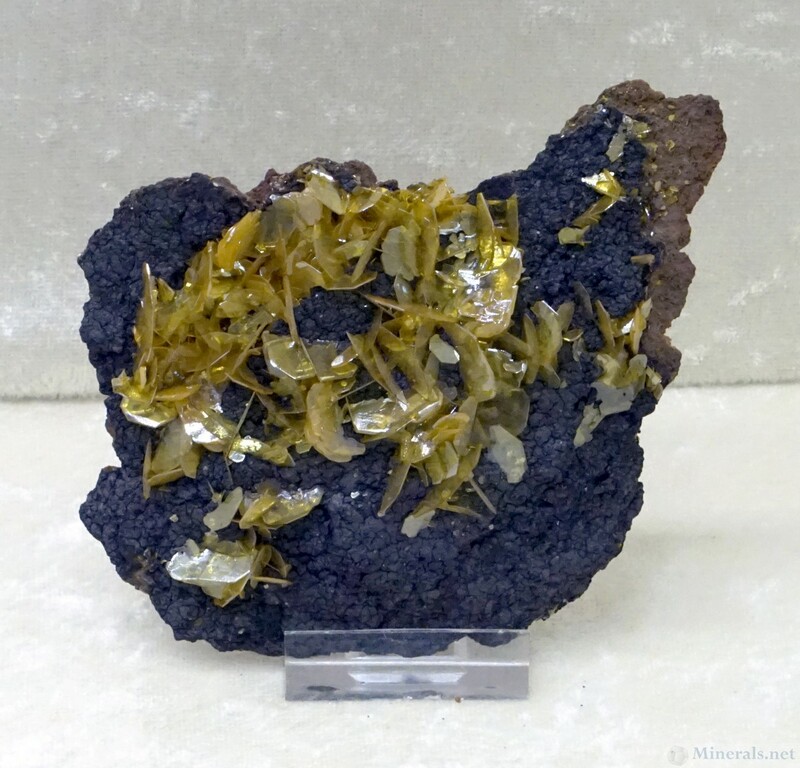 This post features some of the important Wulfenite-themed showcases. 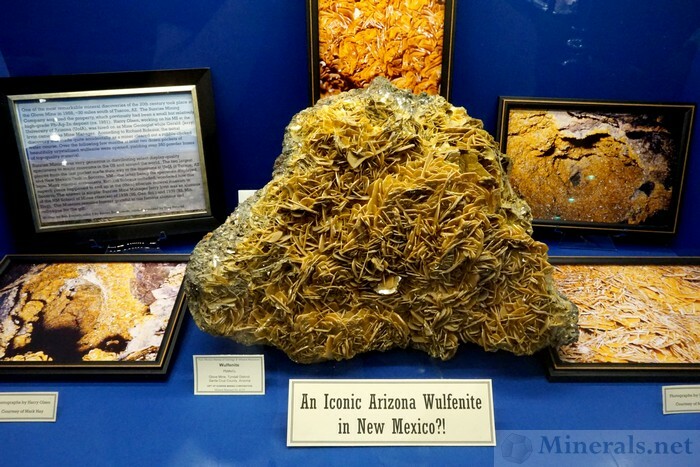 An Iconic Arizona Wulfenite in New Mexico?! 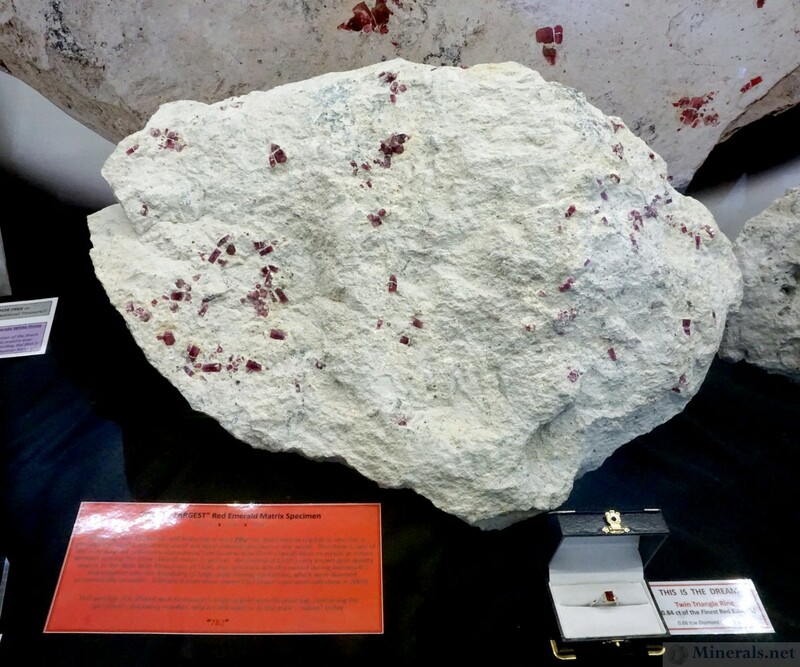 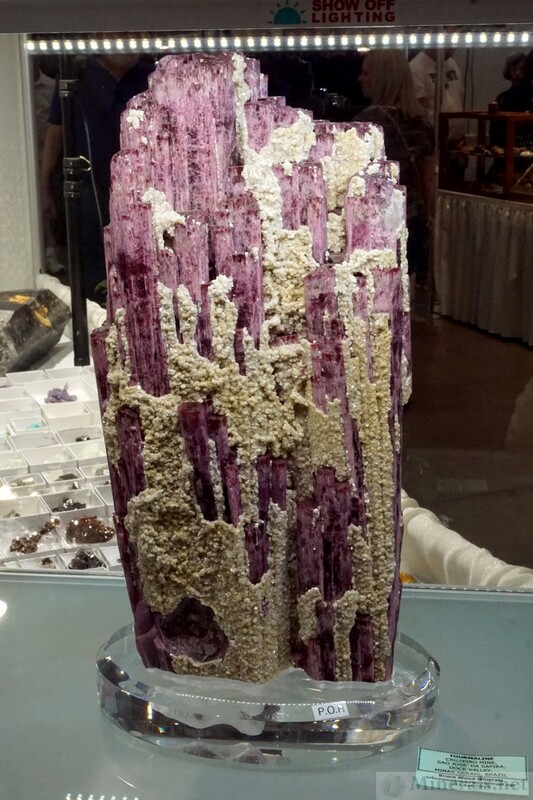 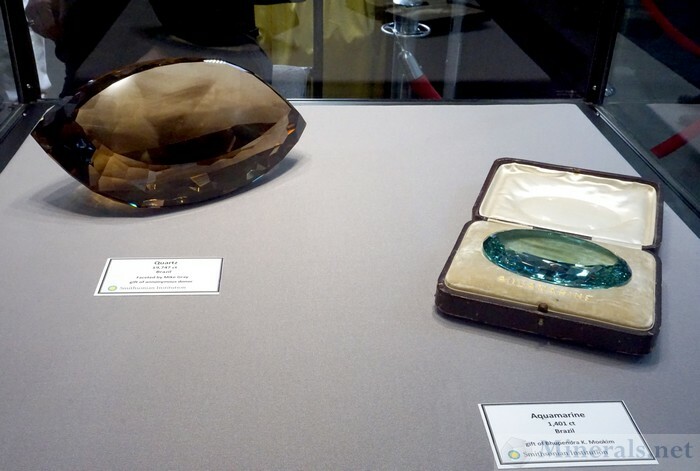 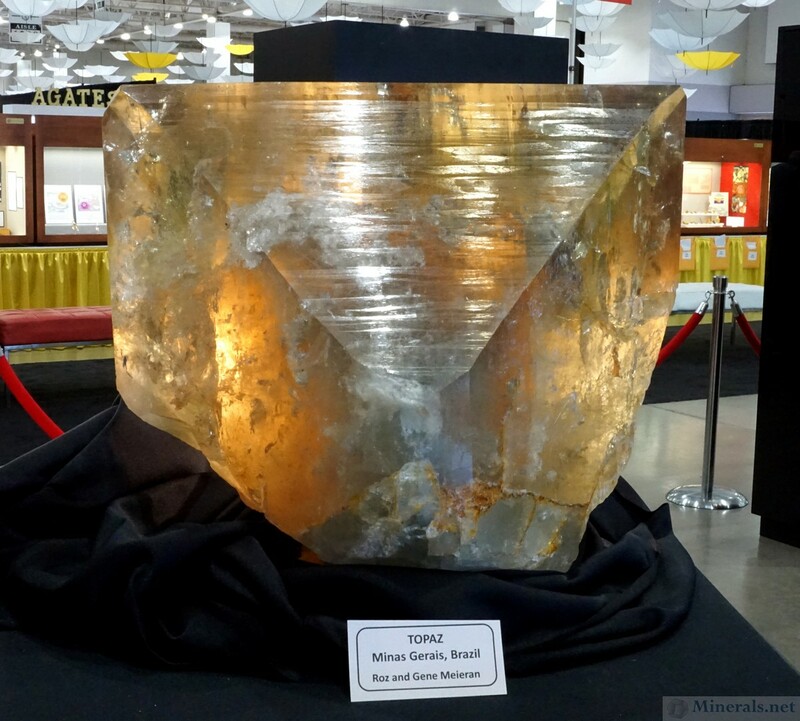 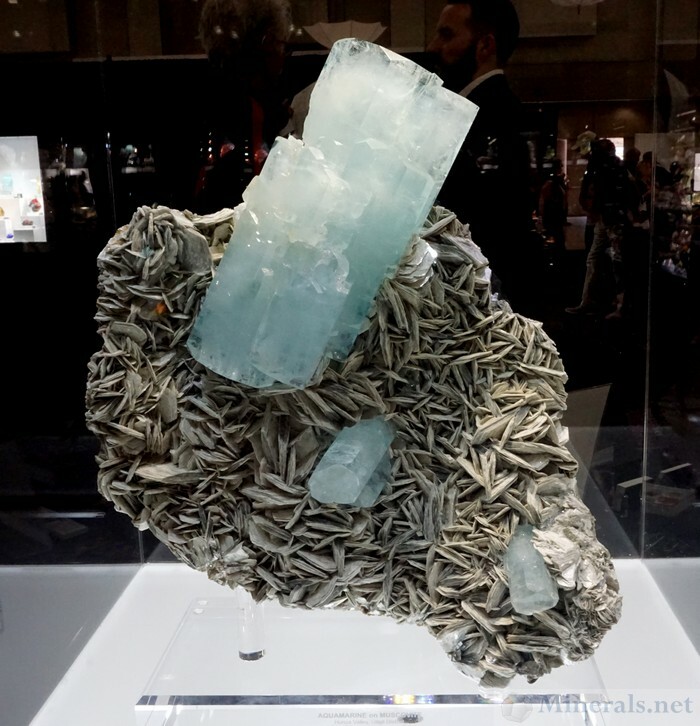 This post on the 2019 Tucson Gem and Mineral Show® features some of the large and remarkable display minerals seen at the show. 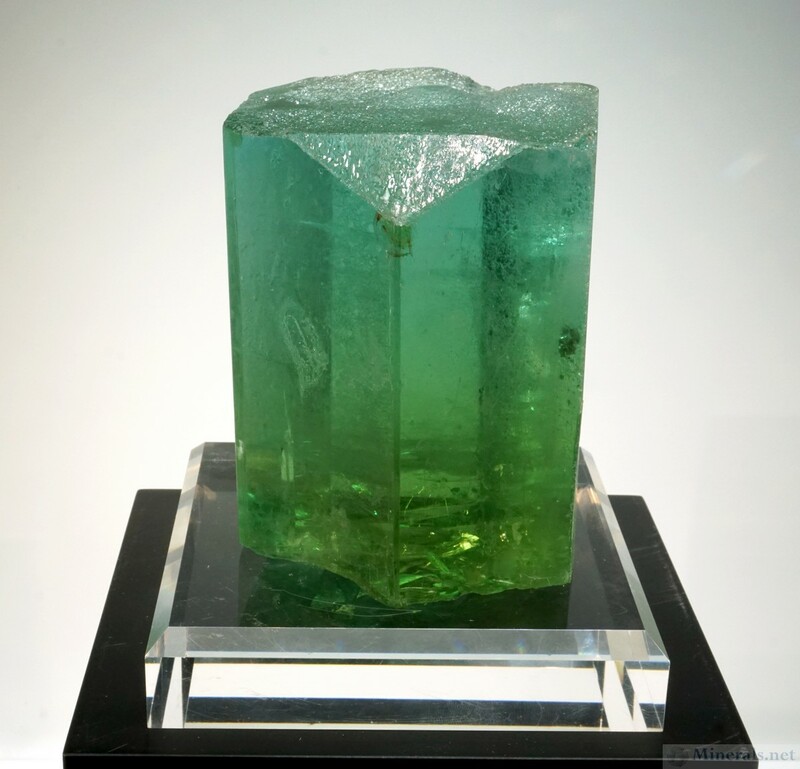 There are many exceptional minerals to be seen, but the large ones are the most impressionable. 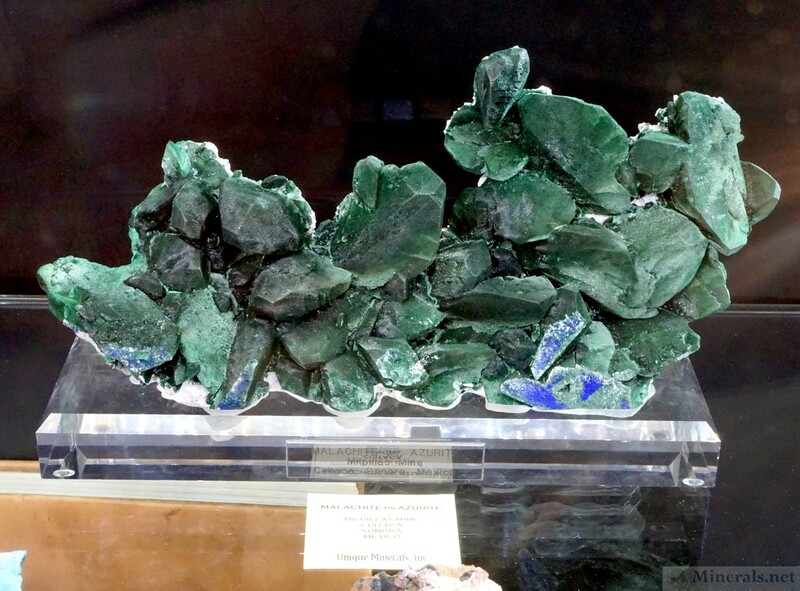 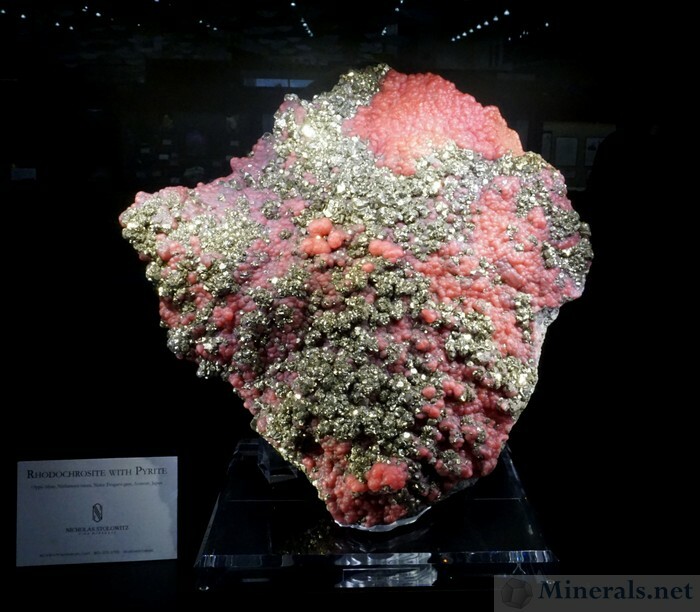 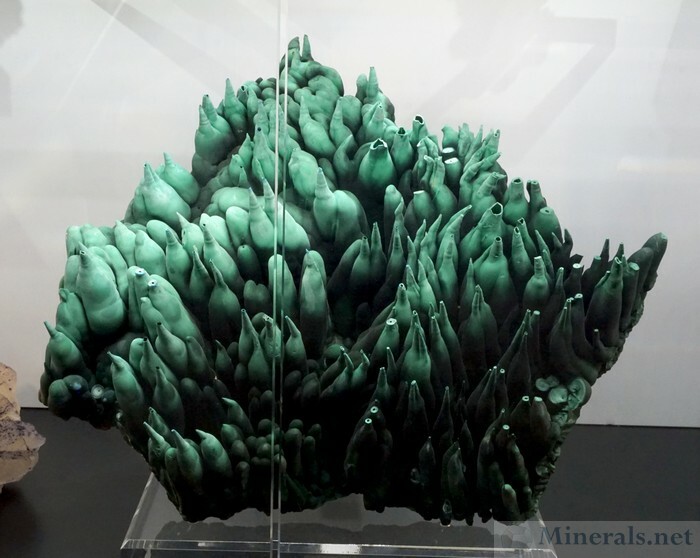 In this post, I included pictures of the large and impressionable minerals from the public exhibit displays, as well as those from dealers in their centerpiece displays. 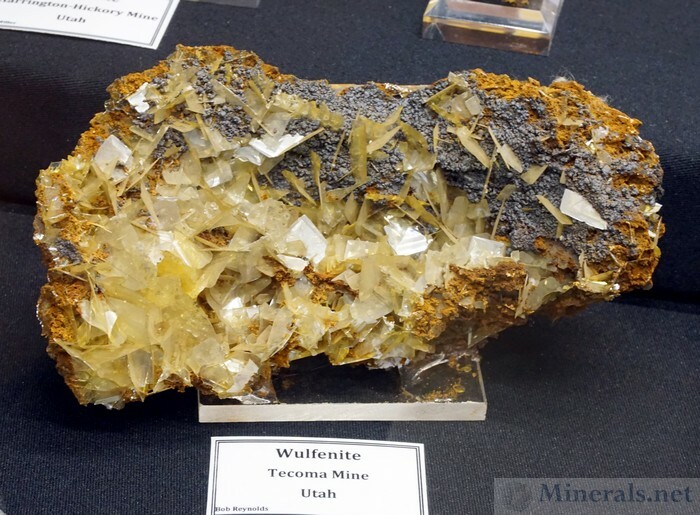 from the Wah Wah Mountains, Utah. 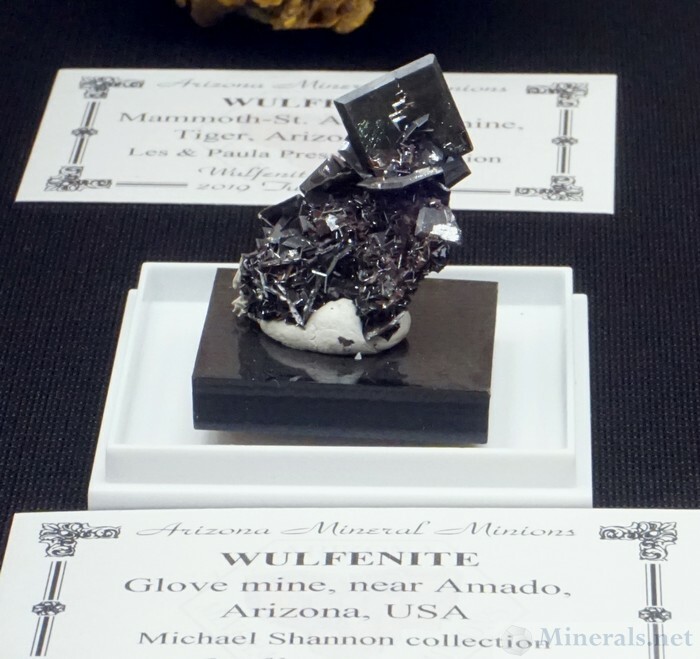 Obtained from mine owner Earl Foster's personal collection in 2005. 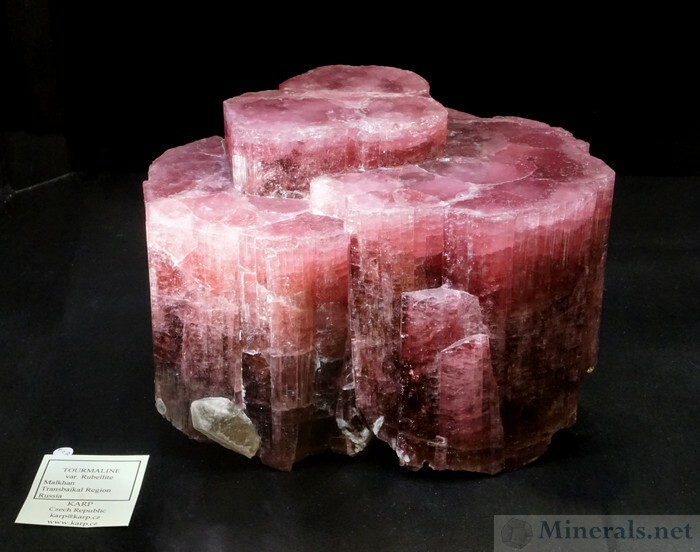 Rubellite Tourmaline Crystal from the Cruzeiro Mine, Sao Jose da Safira, M.G., Brazil. 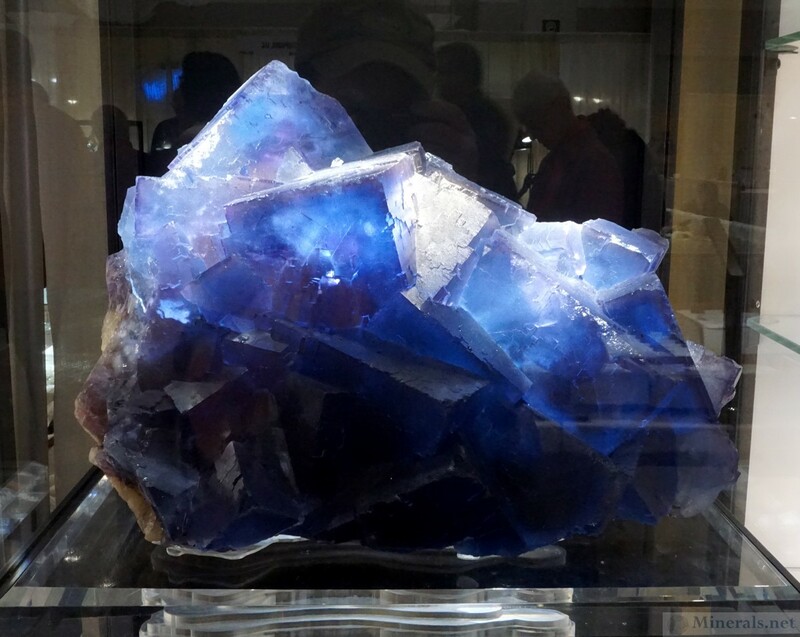 Giant Blue Fluorite Crystals from the Blue Hole, Denton Mine, Hardin Co, Illinois. 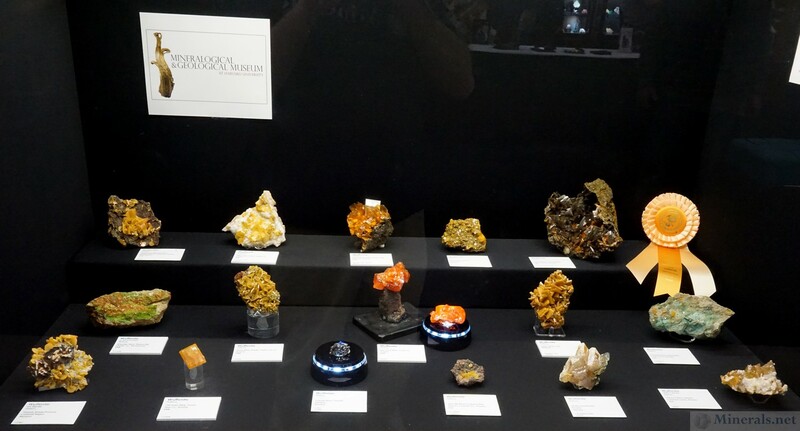 In 2018, I made an additional trip to the Smithsonian National Museum of Natural History. 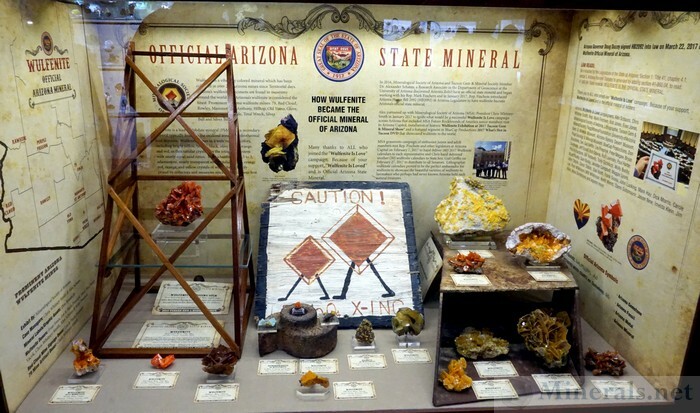 I wanted to photograph several additional iconic mineral and gemstone specimens in their collection on display in the gem and mineral halls. I also wanted to add some more rare and unusual minerals to the mineral detail pages of Minerals.net. The post below contains some additional favorites of mine in the collection that I did not include in the coverage of my previous Smithsonian visit. 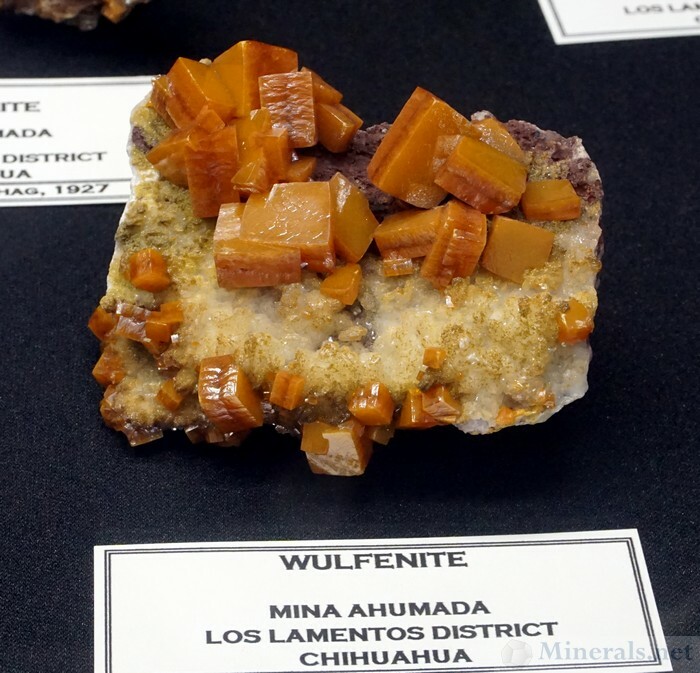 These include interesting minerals and rarities. 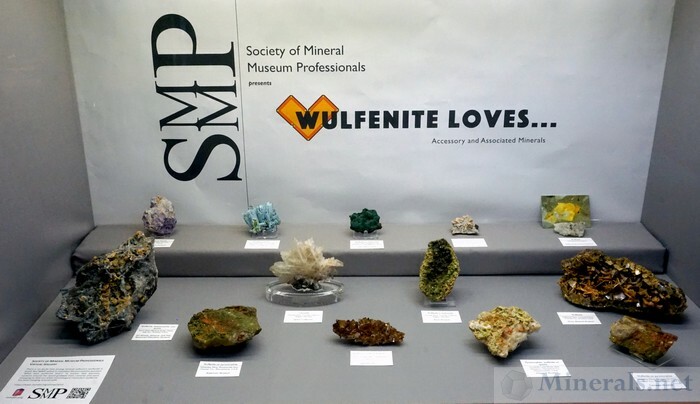 Please view some of our earlier posts from our visit to the Smithsonian in 2015 by clicking here. 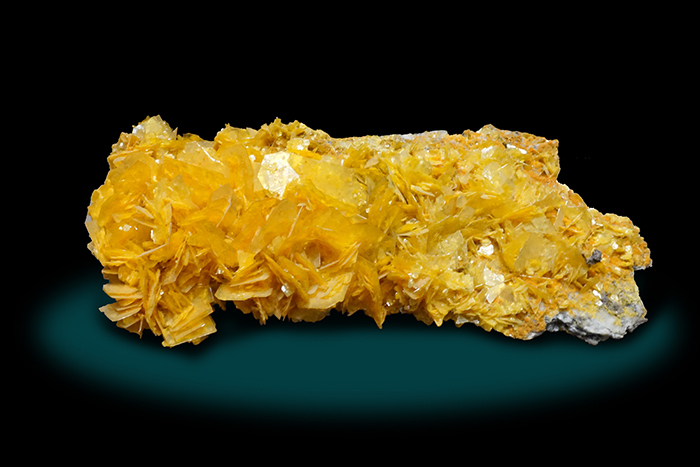 The Oppenheimer Diamond, a very large yellow Diamond Crystal at 253.7 carats!